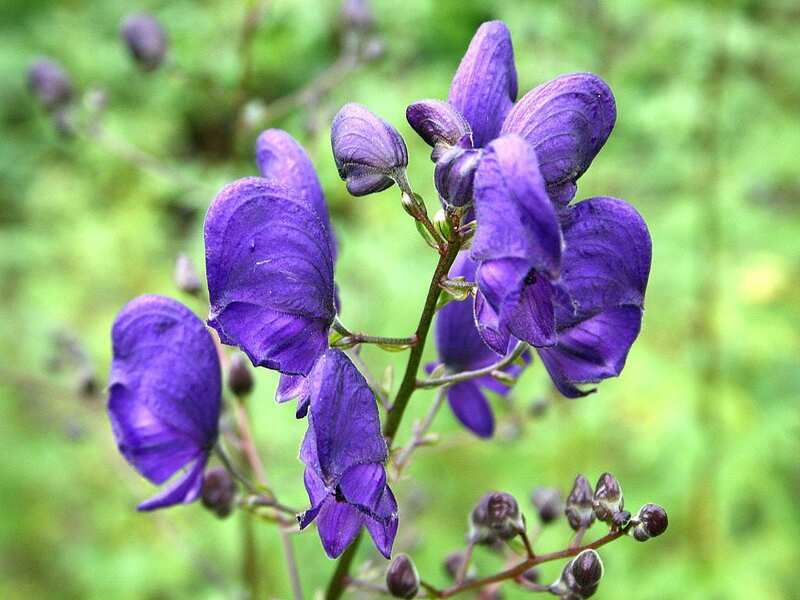 Our native monkshood is an upright, tuberous perennials with showy flowers on dark spikes. The flowers are electric blue and held in spires above the foliage. Architectural in habit it does not require staking and grows best in a well drained but moisture retentive soil in some shade. Pest and disease resistant. Easy and ultra hardy. Organically grown in peat free compost. *CAUTION toxic if eaten. Cut back after flowering unless you want seed heads, or tidy in the spring. Spring is the best time to divide clumps, but seed is better sown fresh in our experience.